Jolie Gabor was a Hungarian- born American entrepreneur and socialite. This biography profiles her childhood, life, ventures, achievements and timeline. Jolie Gabor was an entrepreneur and socialite. She had a storied life and career that spanned over a century. She was born into a Jewish family who were successful jewelers in their own right. She continued the family business in the 1930s when she opened her own crystal and porcelain shop. She also opened a costume jewelry shop that had 5 locations before her business came to an abrupt halt during the Nazi occupation of 1944. Being Jewish, Gabor needed to make a swift escape. She used her connections to get a safe passage to Portugal, although other members of her family were not as lucky. Her grandmother and younger brother Sebastian died at a Nazi labor camp. Jolie Gabor showed her resolve when she moved to America and re-established her Jewelry empire. She started with a store in New York City and expanded to an office in Palm Springs, California. She spent her later years advocating for female empowerment in the business world. She had 3 daughters with her first husband that all saw moderate success as actresses. Jolie Gabor was born Janka Tilleman on September 30, 1896. Her actual birth date has been a topic of controversy, as some places state her birth year as 1894. She was born in Budapest, Austria-Hungary, to Jewish parents. Her father's name was Jona Harsch Tilleman and her mother's name was Chane Faige. Gabor was the 3rd of 4 children. She had two older sisters, Janette and Dora, and a younger brother Sebastian. Her parents were well-known jewelers and operators of "The Diamond House"
Jolie Gabor started her entrepreneurial career in the 1930s when she opened Crystello in Budapest. This shop sold crystal and porcelain ornaments and trinkets. During this time she also opened Jolie's. This shop sold handmade costumes and jewelery. After some success she opened a second location in Gyor. Eventually she had 5 shops scattered throughout Budapest. She became the most well-known jeweler in Budapest. Unfortunately her booming business came to a halt when Nazis occupied Budapest in 1944. She fled to Portugal along with several other family members. 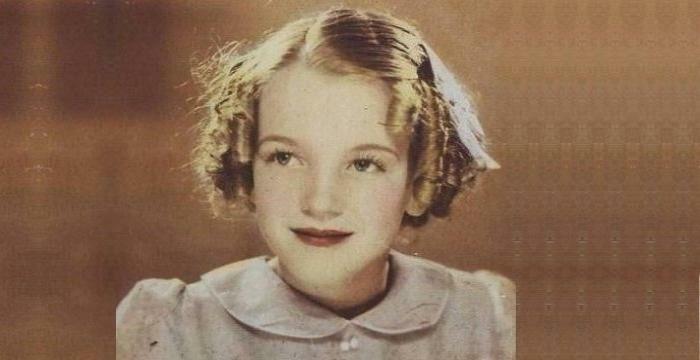 She got back on her feet and moved to the United States in 1945 and then decided to open up a business in New York City. In 1946 she opened Julie Gabor, which sold costume jewelry. She eventually moved the shop to the hallowed Madison Avenue. She also opened a branch in Palm Springs, California. In 1975 Gabor made a career change and was signed as a motivational speaker. She toured the country speaking about the relationship between beauty and female empowerment. She got out of the jewelry business for good when she sold her company at the end of the 1980s. The buyer was a Hungarian philanthropist named Madeleine Herling. 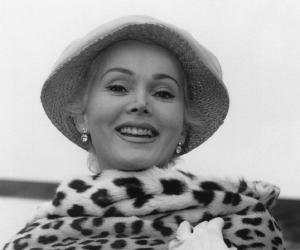 Gabor remained an active socialite and philanthropist until her death in 1997. Although she was known primarily for her jewelry empire, she also published 2 books -Jolie Gabor and Jolie Gabor's Family Cookbook. Her first book, Jolie Gabor's Family Cookbook, was published in 1962. It was co-written with Ted and Jean Kaufman. The book contains over 300 recipes. The recipes cover the entire spectrum of Eastern European cooking. Her second book, Jolie Gabor, was published in 1975. It was co-written with long time family friend Cindy Adams. This work was a memoir detailing the storied life of this jewelry mogul. It dives into the more sordid details of Gabor's personal life. Adams has gone on the record to say that most of the details in the book were staged for the publication. She stated that Gabor and her family were so image-conscious that they hardly told the truth about anything. Jolie Gabor was married 3 times. Her first husband was Vilmos Gabor. They were married in 1914 and divorced in 1939. 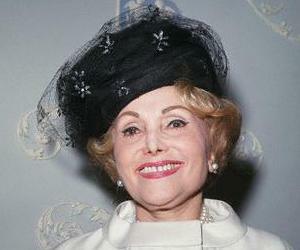 She had 3 children with her first husband; Madgda Gabor, Zsa Zsa Gabor, and Eva Gabor. All 3 of her daughters turned out to be successful actresses. Her second marriage was to Howard Peter Christman. They married in 1947 and divorced in 1948. Her third and final marriage was to Odon Szigethy. They married in 1957 and enjoyed a successful marriage and business relationship. She was involved in the 1991 production of the People Vs. Zsa Zsa Gabor. Gabor became widely known as an advocate for female empowerment. She gave plenty of candid interviews sharing her views. She often stated that a woman should be able to earn her own wealth. This was different than the trophy wife aspirations so common among her peers. Gabor's younger brother Sebastian died at a labor camp during the holocaust. She had a guest appearance on the show "What's my Line?" in 1957.